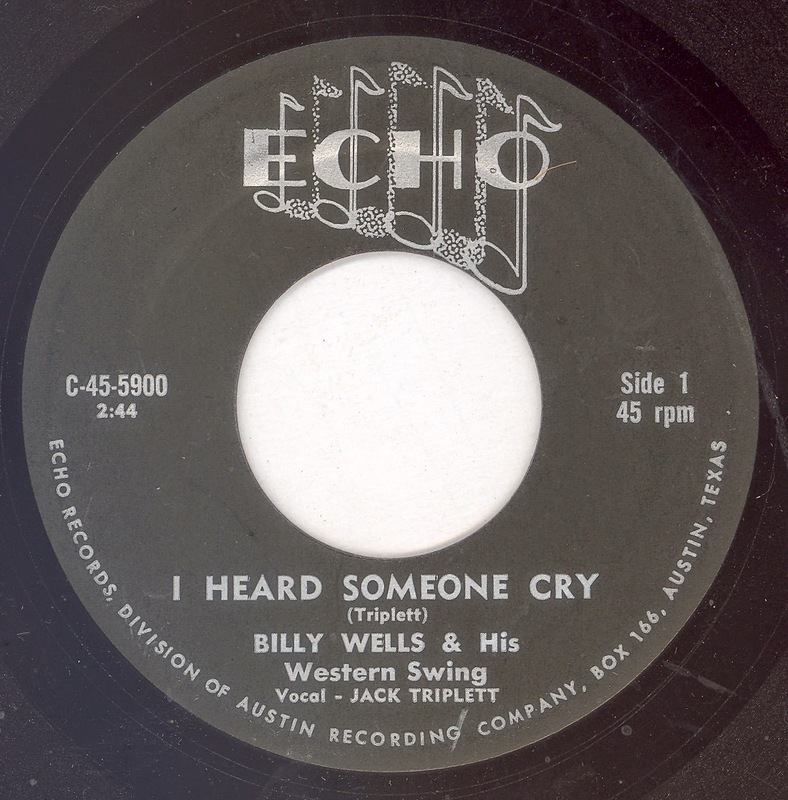 The Austin based ECHO label contains quite a few interesting items, here we have a disc by Billy Wells, accompanied by His Western Swing! The most notable thing about this record is that Jack Tripplett is the vocalist, as well as the composer of "I Heard Someone Cry". I have no idea when these two sides were recorded, but I could venture a guess at 1959 (a guess based upon the issue number 5900). 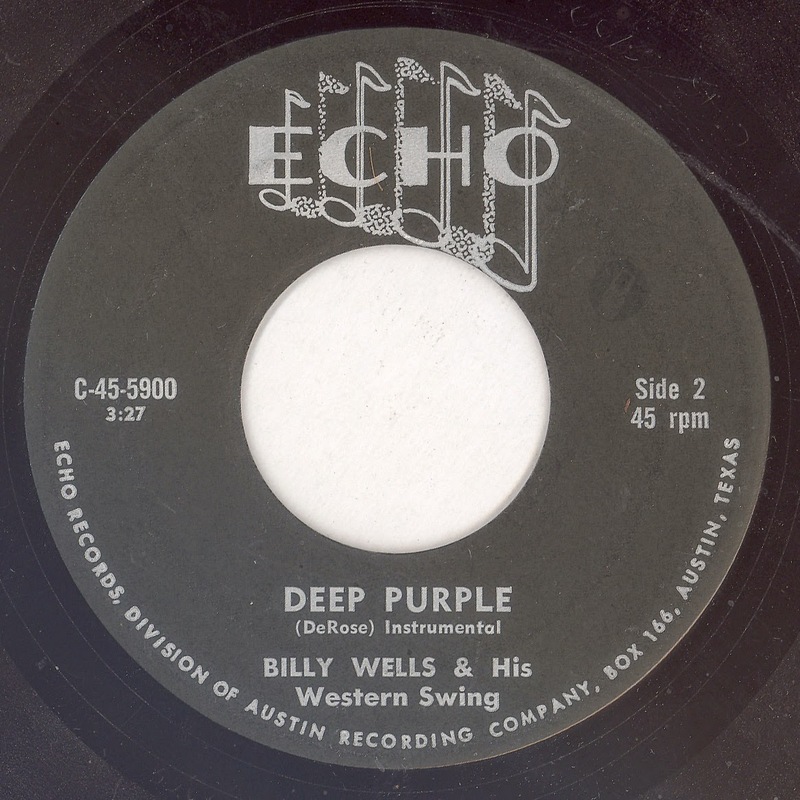 Tripplet recorded for the San Angelo based K-PEP label (a 4 Star custom affair) back in 1956; I assume K-PEP was the call sign of a local radio station down in San Angelo, The Phantom Rider Trio (which may or may not include Tripplett) had the adjacent release on K-PEP. The flip side is a pleasant take on pianist Peter DeRose's 1933 composition "Deep Purple" which contains so some nice guitar and fiddle work. ATLANTIC "Folk And Western Series"